Permanent teeth usually start to erupt about first grade. 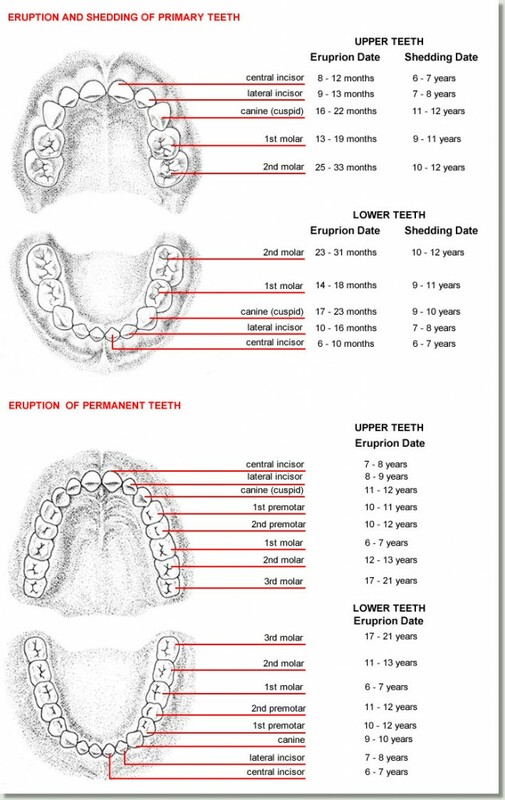 A special note here is that often the permanent first molar, or six-year molar, erupts before the permanent front tooth. Additionally, the first molar erupts behind the last baby tooth and does not replace a baby tooth as occurs for front teeth. Often lower front teeth come in behind, on the tongue side, and give the appearance for awhile (can be many months) as if there are two rows of teeth.